Be Kind. The Side Effects of Kindness. *Disclosure: I did receive this Be Kind t-shirt as part of my participation in telling my Fashion Friday story and to facilitate my review. These opinions are my own and were in no way influenced by another person. Kindness is one of those crazy things that can cost you nothing, but can have huge rewards. In fact, the side effects of kindness might be one of the most natural ways to lift your spirits and stir your soul. Kindness can come in the form of the tiniest little gesture. Best of all? Kindness has a ripple effect. Kindness works wonders for the recipient, but it also has huge benefits for the one showing the act of kindness. I truly believe that we were meant to care for each other. For God’s creatures. For our world. Kindness feeds the soul and perhaps that’s why good people run to kindness when bad things happen. And bad things will happen. 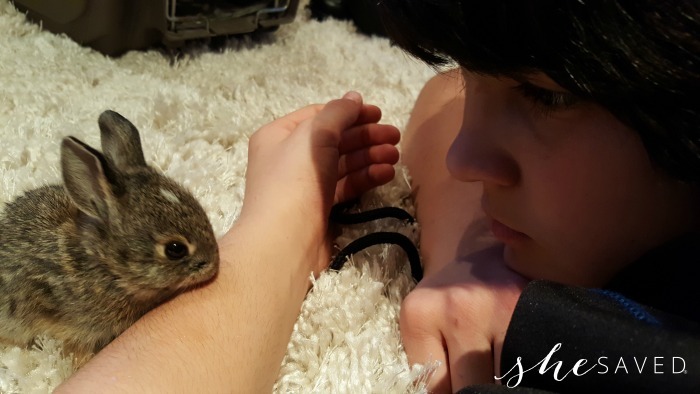 See that adorable sweet bunny above and that big smile on my face? That day didn’t have the most wonderful beginning. A neighbors dog discovered a nest of baby bunnies and it was pure chaos. Being married to a veterinarian, you would think I would start to get used to heartache, but I never do. What I have latched onto is the fact that while I can’t fix all of the bad things that happen, I can help to make them better. 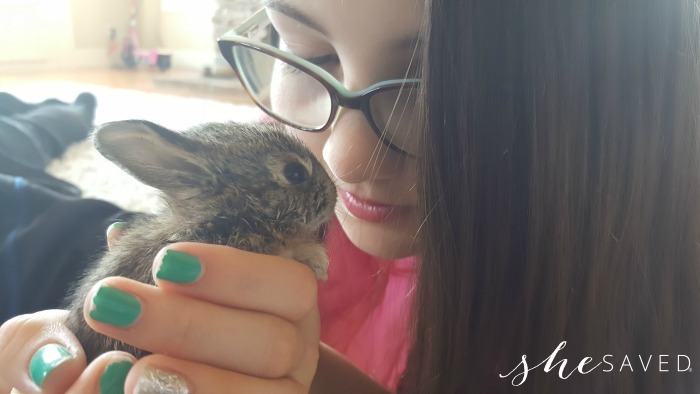 We couldn’t make the entire situation better, but for this one little injured bunny, we could. So we did. Kindness comes in all forms. It can come from helping, and it can come from letting go. And sometimes, kindness is hard. When it came time to say goodbye to our sweet little friend, it was hard. We cried. But we also knew that once he was healthy, the kindest thing for us to do was to return him. Oh what a bittersweet day it was. Letting go is hard. My children didn’t understand it at first, but the reward is that his mama is out on our back lawn every morning and it warms my heart to know that all was not lost. There were lessons for all of us in this, and I love that my kids were able to learn from it. And you know what, we are happier. The side effects of kindness. Kindness for the Win. Always. Cinderelly’s mama definitely said it best: Have courage and be kind. Sometimes it’s hard to muster up the courage to serve it up, but kindness has so much power, especially in the tough times. Life experience has proven to me over and over again that kindness wins every time. Always. One kind word can change someone’s day. Kindness can defuse an argument. It can uplift a broken heart. It can start a friendship, and a simple act of kindness might literally change a life. And you know what, it’s FREE! 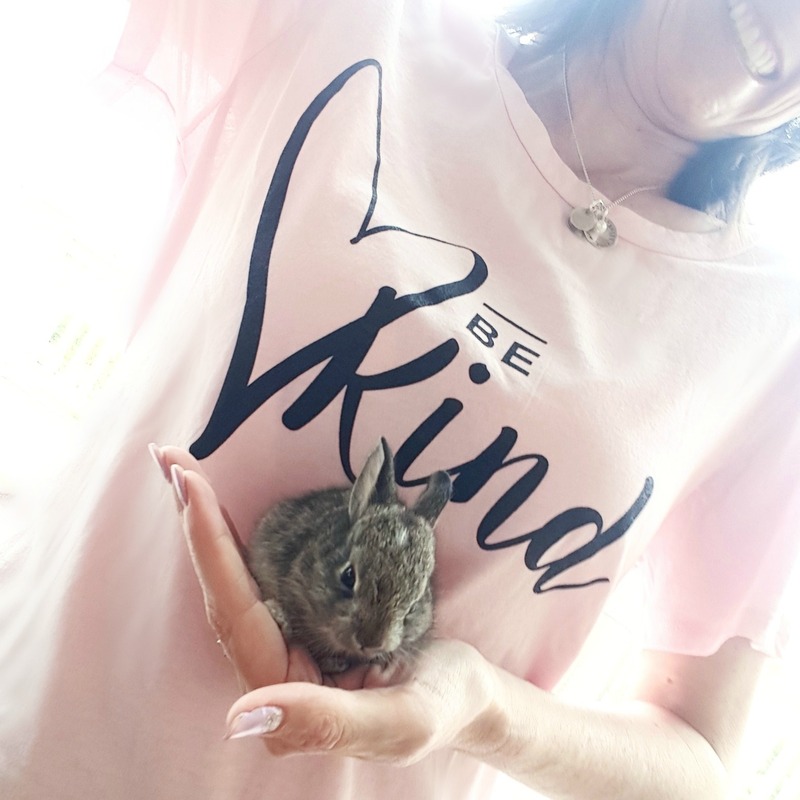 I agreed to participate in the Fashion Friday “Be Series” promotion and before I even knew what my story might be, I selected the Be Kind shirt. It’s my favorite. 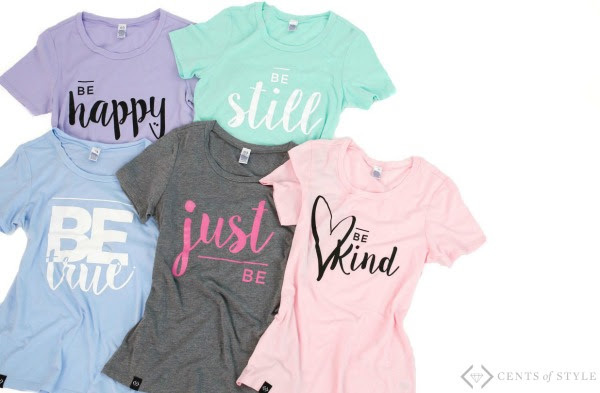 I just love all of the positive messages on these comfy tees from our friends at Cents of Style, but the Be Kind shirt makes me so happy, it is just such a wonderful reminder of the power of kindness. Right now, the entire “Be Series” collection is on sale which means that you can check out the selection of Be Series T-shirts here and score them for just $15.95 each with FREE SHIPPING! Just use coupon code: BESTORY to drop the price. The code is valid 4/28 through 4/30. Go here to see all of the shirts included in this sale!